The WHO Country Office in Poland was established in 1992 in Warsaw. 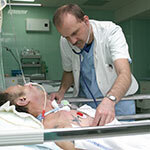 It serves as the focal point for WHO activities in Poland. The country team consists of two staff members and focuses on the fields of public health, health care systems, tobacco control, noncommunicable diseases, and environment and health. 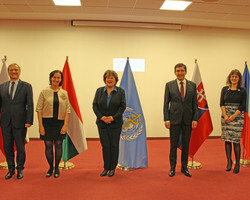 WHO representatives and delegations from the Visegrad Four (V4) countries gathered in High Tatras, Slovakia, on 20–21 February 2019 for an expert meeting on health with a specific focus on fighting tuberculosis (TB).